Situated 7 kilometers off Bali’s art and cultural center of Ubud, in the village of Singakerta, Gianyar, and surrounded by local villages and rice fields. Casa Dhyana is a secluded retreat in the area, it is a place of tranquility and relaxation. The location is convenient to begin your tours to the culturally rich attractions and sites of Bali. A great place for escape from a busy city life. 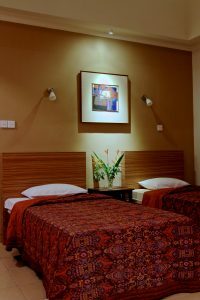 Each room has two deluxe beds that can be joined together as one, AC, large bathroom with shower and hot water. 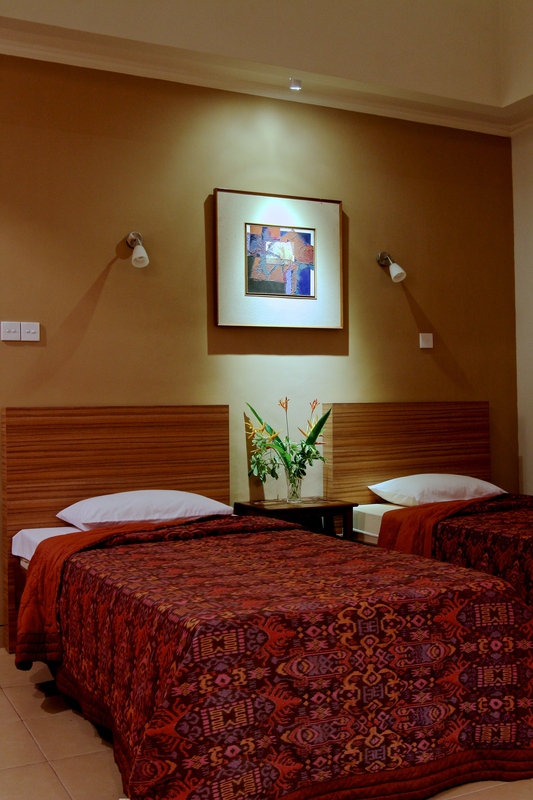 In addition, local channel TV and wifi, as well as safety deposit box are available for our guests. 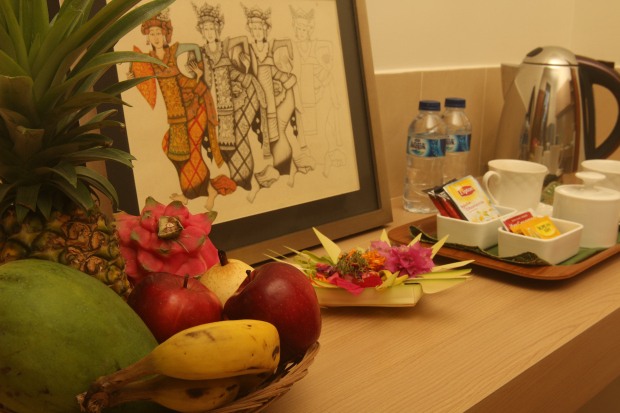 And to accommodate guests convenience, coffee, tea and bottled water also are provided in the kitchenette. A leisure room facing the swimming pool, equipped with pool table and bar. This is an ideal spot to chill and hang out with friends and family. 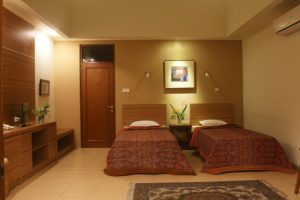 The main kitchen is separated by fish pond, and it is fully equipped with utensils, stove, refrigerator, microwave oven, and water dispenser. 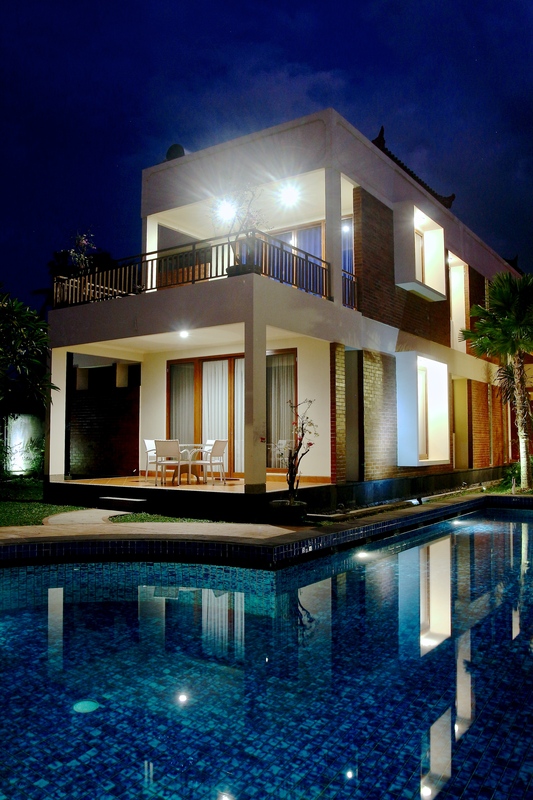 Guests are welcome to use the facility while staying at the villa. 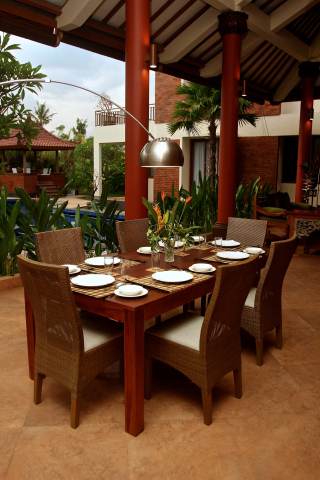 The dining room is located in a very spacious open air Javanese architectural offering the view of garden and the swimming pool. Six seating table that will sets a romantic dining experience to guests, and can be adjusted as well to cater larger groups. Please inform Casa Dhyana house management. In addition if you need grocery shopping, our staff is also available to do so. There is 20% charge from total of the grocery bill for the service.